The divide in the narrative of the pro-Israel and pro-Palestinian communities can be summarized in one city, and it’s not Jerusalem. It’s Hebron. Jews look at the city of Hebron as the essence of their rights in the holy land. More than God’s promise of the land of Israel to the children of Abraham, Isaac and Jacob (including Genesis 13:15-17), Hebron represents the very first real estate transaction recorded in the Bible. In Genesis 23:12-20, Abraham purchased a cave to bury his wife Sarah. That purchase crystallized the promise of God in the action of man. The founding fathers and mothers of Judaism are almost all buried in Hebron in the Tomb of the Jewish Patriarchs: Abraham, Isaac, Jacob, Sarah, Rebecca and Leah, making it the second holiest location for Jews. 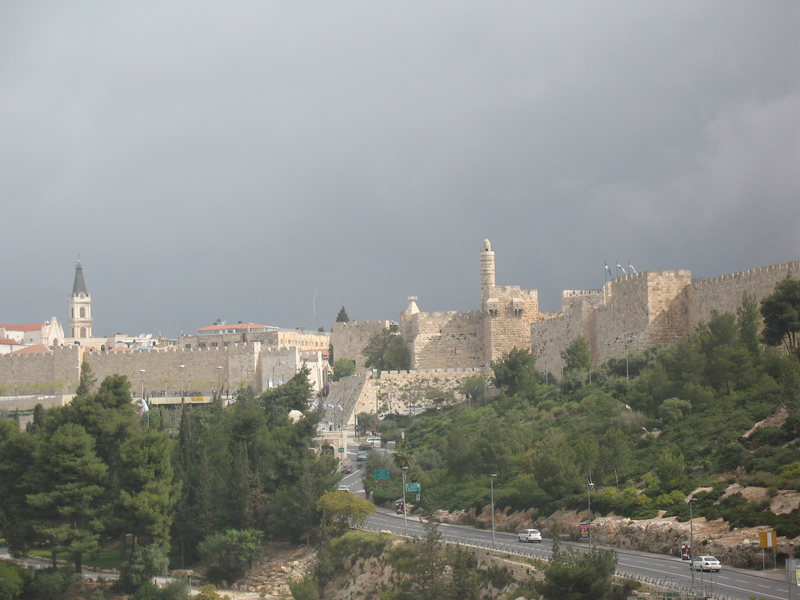 Their presence motivated Jews thousands of years ago to establish a large presence in the city and factored into King David’s decision to begin his rule there for the first seven years of his reign (Samuel II 2:1-11). 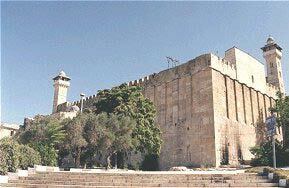 Hebron’s long Jewish history and religious shrine kept Jews living and visiting the city. In the 19th and early 20th centuries, the Jews in Hebron had only a small community with a synagogue and school. But in 1929, Arab rioters killed 67 people when a false rumor was spread that the Jews were set to destroy the Al Aqsa Mosque in Jerusalem. The British, who were administering the Palestine Mandate at the time, concluded that there was no way to protect the Jews in the city and evacuated every Jew. It marked the true beginning of the modern war of Jews and Arabs living together in the Holy Land. No Jew would return to the city until after the 1967 defensive Six Day War, when the Jordanians lost the land that they had illegally siezed in 1949. When the Jews returned to Hebron, they eliminated the centuries-old ban (established 1266) that the Muslims had placed on Jews entering the Cave of the Jewish Patriarchs. They reestablished a small neighborhood in the city where they could live safely, protected by the Israeli army so that they would not be slaughtered again as they were in 1929. As opposed to the Muslims (including Ottomans) and Arabs (Jordanians) who banned Jews from the holy site and city, respectively, the Israelis made accommodations for sharing the space. 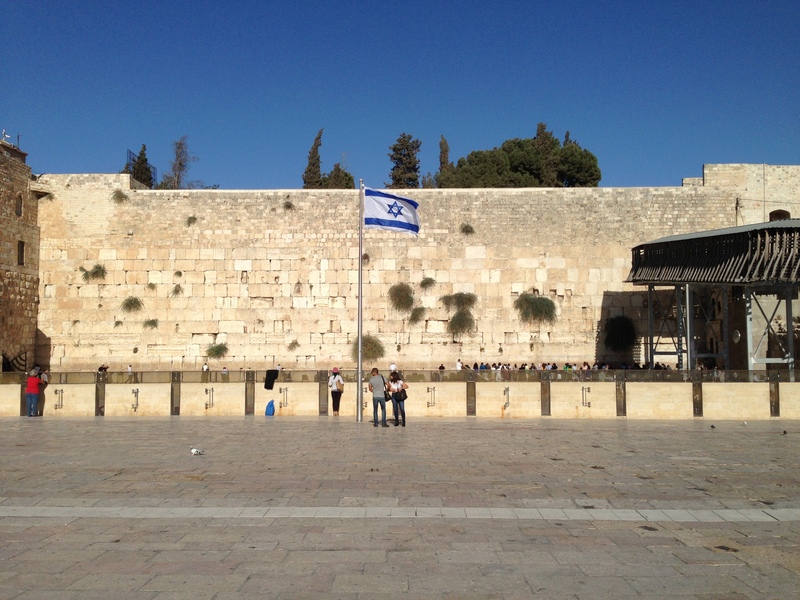 They partitioned the Cave so that both Muslims and Jews could pray at the site and sectioned a small part of the city where Jews could safely live. The Israelis enforced coexistence with the Arabs and Muslims that had offered them no or limited ground for centuries. Arabs view themselves as the native population of Palestine. Their ancestors came to the region en masse in the 6th and 7th century as they spread Islam through the Middle East and North Africa. Their position as the dominant people in the Holy Land was secured at the end of the Crusades in the 13th century. Over the next 700 years, various Muslim and Arab people would descend on the region, whether Egyptians, Syrians or Ottomans. The common religion made the nature of the sovereign less relevant to the Muslim Arabs. People from places that would later become Iraq, Jordan, Kuwait and Saudi Arabia would come and go to Palestine and to Hebron. The fluidity of backgrounds in a world that had not been so fixed with nationality as today was natural; Palestine was after all the gateway to Egypt and Africa from Europe and Asia for trade. Hebron’s Muslims mostly tolerated (by 18th century norms but not today’s) the small Jewish community. It didn’t give them rights to visit or pray at Islamic holy shrines like the Ibrahimi Mosque, as they called the Cave of the Jewish Patriarchs, but they didn’t have them banned from the city or region. That changed at the end of World War I and the end of the Ottoman Empire, as the world powers decided to establish a Jewish homeland in Palestine through the 1917 Balfour Declaration and the subsequent elaboration of Jewish rights in the 1920 San Remo Agreement and the 1922 Mandate of Palestine. The Muslim Arabs who had seen a spike in Jewish emigration to Palestine over the prior hundred years now had a new fear and concern: the global powers were taking the sovereignty of Palestine away from Muslims and handing it to the Jews. And this, without the consultation or endorsement of the local Muslim Arabs. The small minority of Jews was no longer a curiosity to be tolerated, but a group that was poised to assume control to be defeated. When rumors came in 1929 about the Jewish attack on the third most holy site of Islam in Jerusalem, it was easily believed. The British had assumed their mandate just five years earlier and the Jews started to arrive in Palestine by the thousands. It was natural for the Palestinian Arabs to assume that the Jews were readying a takeover of their holy locations in Jerusalem and Hebron. The war was on. When the Jews came back to Hebron in 1967, they didn’t just return as civilians, but with an army. They set a model for sharing the Ibrahmi Mosque that the Arabs tolerate, but in a format that Muslims fear that Israelis will try to replicate at the Al Aqsa Mosque Compound in Jerusalem. It has now been decades that the Arabs of Hebron live under Israeli occupation, a reminder of their defeat in 1967 and of how their land and culture had been taken away from them. Every Israeli soldier that they see is there to inspect and check and validate their presence. But the Arab residents wonder why they need these Jewish interlopers to validate Arab presence in Hebron. They have been there for centuries. Whether one views one or both of these narratives as valid, the dichotomy of the root of the problem is very different. 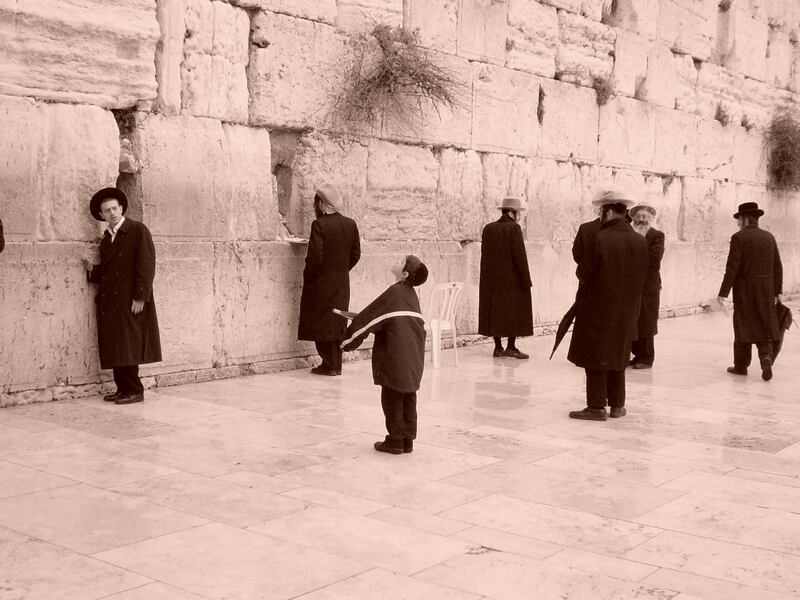 The Jews believe they have a natural right to live in the city as their ancestors had for thousands of years. The Israeli military is there to ensure the peace. Yet for the Palestinian Arabs, the Israeli military is the core of the problem. They do not want to live under Jewish rule, neither as citizens of a Jewish State nor by an occupying army. The Jews contend that the British action in 1929 did as much damage as the Palestinian Arab murderers. In the face of a heinous massacre of Jews, the response of the British Administrators was not to punish the Arabs and protect the Jews, but to ban the Jews from the city. That action taught the Arabs that violence pays. The terrorist group Hamas continued to make the point, having made Israel abandon Gaza in 2005. The Palestinian Arabs make no apologies for any of their statements or actions: this is Arab land and home to Islamic shrines. The Israelis may say they are promoting coexistence, but they are doing so on stolen land. How noble is it to steal someone’s home and then offer to share it?! Israelis view the Arab attitude as deeply problematic: their arguments are not localized to Hebron, but are the same throughout the land. The Palestinian Arabs reject the basic presence of a Jewish State in the land in any configuration. Why abandon Hebron, when the sentiment is the same for Haifa? While moderate Arabs may indeed hold that view, they are willing to accept the de facto existence of millions of Jews within the 1967 borders. They realize that the Jews are not going anywhere any time soon. So what makes a Hebron narrative different than a Haifa narrative or a Jerusalem narrative or a Jericho narrative? How and why is it unique in depicting the problems that people have in talking about the Israeli-Arab conflict? Most of the world has accepted the reality and legitimacy of Israel and its borders within the 1949 Armistice Lines (the 1967 borders). Cities like Haifa, Tel Aviv and Nazareth are only contentious among the most rabidly anti-Zionist zealots who shout “From the river to the sea, Palestine will be free.” The narrative that questions Haifa is one to be easily and readily dismissed as coming from the lunatic fringe. Jerusalem is considered the most contentious topic for a variety of reasons ranging from the holiness ascribed to the city, its designation as a capital by the competing parties, and the fact that both populations – Jews and Arabs – live in the city in great numbers. Reasonable people can have completely different viewpoints on the best path forward. And then there is Hebron. Compared to other major West Bank cities like Jericho, Nablus or Jenin, it is a city with a handful of Jews (as opposed to none), and home to a venerated site for Jews on par with Medina for Muslims, while most other cities have much more minor Jewish holy sites. As such, it is divided between areas under Palestinian Authority and Israeli control. The ongoing and persistent presence of Jews in Hebron has made it a flashpoint for an all-or-none possession of control and access for nearly 90 years. It was in Hebron that the world bodies took the first steps in modern times to evict all of the Jews, presumably for their own good. The 1929 action was an abrogation of the Mandate that the British were handed that “No discrimination of any kind shall be made between the inhabitants of Palestine on the ground of race, religion or language. No person shall be excluded from Palestine on the sole ground of his religious belief,” (Article 15). Within a decade, the British would follow up their action with the 1937 Peel Commission and the 1939 White Paper, actions which would bar Jews from living in most of Palestine and prevent hundreds of thousands of Jews from moving to Palestine. Hebron set the stage that coexistence was impossible; parallel existence was required. But the counter-argument stands in reality in the State of Israel. In Israel, Arabs have full rights and account for over 20% of the population. Israel granted every non-Jew Israeli citizenship when it declared statehood in 1948, and offers any Arab in Jerusalem citizenship, if they so desire. In EGL, east of the Green Line/ the West Bank, the desire for co-existence is seemingly non-existent. The Palestinian Authority has laws calling for the death sentence for any Arab that sells land to a Jew. The leader of the Palestinian Authority pledged that a future Palestinian state will not see the presence of a single Israeli (read Jew). Some Palestinian Universities even ban Jews from stepping foot on campus. So today, most Israelis that live in EGL/West Bank are in towns that almost exclusively Jewish. 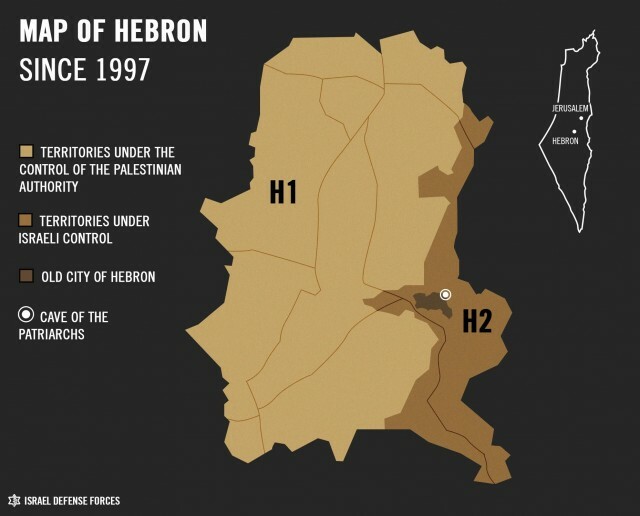 The exception is Hebron, where just 700 Jews live among 250,000 Arabs. (Another 6,000 Jews live in adjoining Kiryat Arba). It is Hebron that is the current test for coexistence for the Arab community. Can they accept and welcome the Jews in their midst? Could Israel withdraw its protective force from the small Jewish community of Hebron and not see them slaughtered? Some Muslims that claim to be moderates say that Jews lived in Arab countries for centuries before the establishment of Israel. Will they defend and protect the Jews of Hebron and Kiryat Arba, or is the existence of Israel next door still too much of an insult for them to endure, and therefore cannot coexist with Jewish neighbors? The narratives of Jew and Arab in the Holy Land and the pathway to either coexistence or divorce is encapsulated in the city of Hebron. This entry was posted in Israel, Jews, Middle East Analysis, Palestinians and tagged Hebron by First.One.Through. Bookmark the permalink.